Currently enjoying some days in a nice and sunny France, I did manage to spend two mornings before the clan woke up painting the ships from the Halo Fleet Battles Ensign box – it is amazing how quick paint, washes and ink dries in hot conditions. Not used to this living in England. They are not brilliant but were rated GEFAG (Good enough for a game) by the little one. I have to admit I really liked painting these – now we have to learn the rules and I suppose buy some more ships. I have tried to make my ipod cover represent the infinity of space in the pictures below. I will get them onto their bases and onto a proper mat for some action shots later. UNSC ships – I used a medium grey, then a green wash, drybrushed with deck tan (light grey) and some detailing in white. I also noted that I had assembled the two bottom Marathon Class Heavy Cruisers (the large ships) wrongly if you look at the stern (back) of the ship. I noted it after having superglued and base coated them. Well I know for next time. The Covenant – I bought the Paint in the picture (Purple Pearl from DecoArt) and painted them with this on top of a dark grey primer followed by a purple ink wash (I used one I had from Vallejo) and highlighted some parts with the same purple pearl colour. Next step a drybrush with the purple pearl all over The blue lights was done by using a light blue initially , then mix the blue with white and paint a smaller section with a final dot of white in the middle. Fast and easy. I also did the engine glow using the blue to white method on the UNSC ships. I also had to try out the Finnish WW2 Army Paint set I bought to do my Finnish continuation war vehicles and equipment with (Look for it at ebay before you pay a tenner in postage for it though). I felt that some of the paint advice I had seen in the past (I suppose for battlefront Finns) did not, in my view, really produce convincing looking vehicles painted to blend into the Finnish forests. However, after some internet research, I felt convinced enough to give this paint set a chance and painted a bunch of Zvezda 1/100 tanks (got them from ebay at £3.50 each, good value for money). The tanks are far from completed as I do not have any decals yet and will put them on in the next step before weathering etc. I am happy with the colour and the contrasts so far and really like this little set. I now need a BF-42, a landsverk AA, some armoured cars and a KV-1 to complete the Continuation war garage. 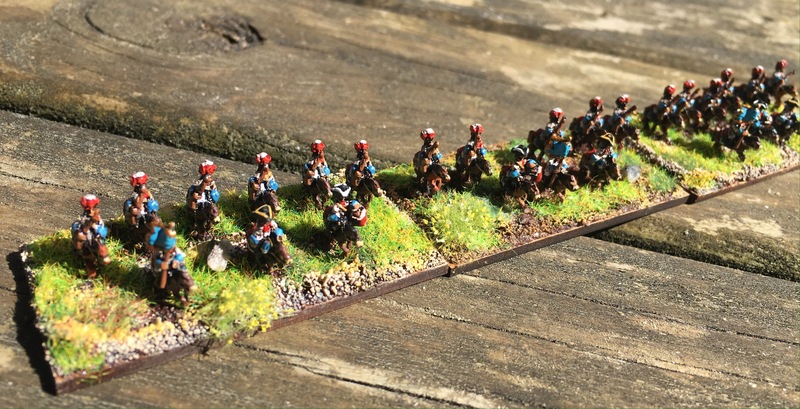 As for the Lesnaya project I only managed to complete one Russian dragoon regiment this week. 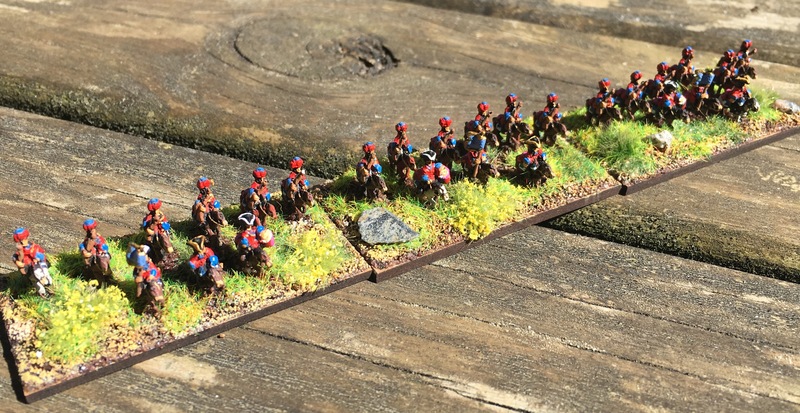 I started on the next Great Northern War (GNW) project this week, namely Lesnaya 1708. I will do a write-up of the Battle and my thoughts on how I will do this at some later date. You can read about it on Wikipedia. 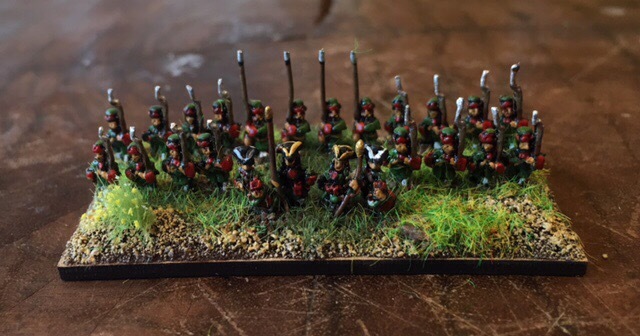 In the meantime here are 10 finished bases of Russian Infantry. There were only 4 infantry regiments present. For painting guide I used the eminent tacitus webpage that have full uniform details for the battles of the era. There are some blanks for regiments we do not know what uniforms they wore, but that is not a problem for these 10 battalions of elite russian infantry. These, like all my GNW, are bases with one base representing a battalion of 400 to 600 men. I have not yet added the standards. Here we go (all miniatures by Baccus, from their 18th century GNW range).